Saves the form input data to a .csv file (Comma Separated Value file format, the delimiter used can be altered). Default - set up is intuitive. It is useful to include the date/time of each form submission. Saved Data - this provides a view of the data. Overrides - if necessary, set up an Execution Condition that will add form data to the file depending on a particular condition being met. 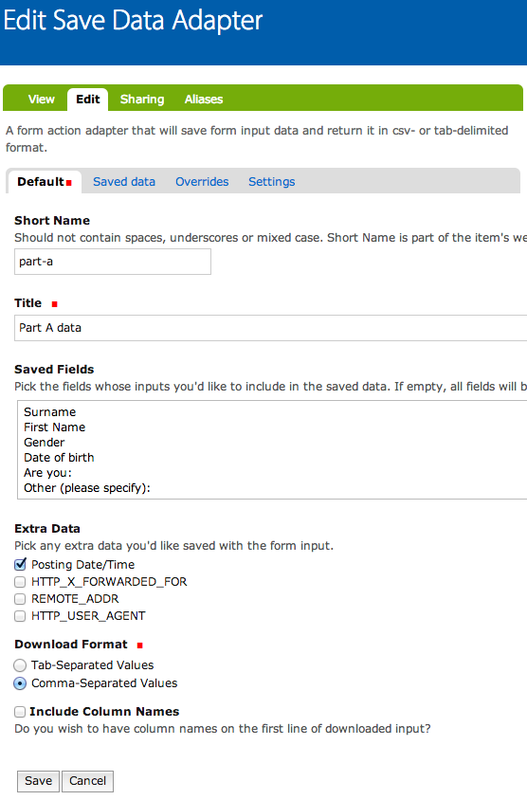 The data file is accessed via the Contents tab of the form's form folder and double-clicking the Save Data Adapter object which will open it in View mode.